What does the International Convention on the Rights of the Child have to say about it ? Article 12 - The child, as soon as he or she is capable of doing so, has a right to express his or her opinion freely over any matter or procedure affecting him or her. In order to illustrate this important article, the CyberDodo team is pleased to offer you the following true story which took place just a few years ago in a European country. Who are the heroes of this story ? 2 children, 6 and 8 years old who, following the divorce of their parents, lived together with their father and his new wife. They found themselves in a difficult situation when their mother introduced a claim in the courts to regain parental authority and custody of them. The situation was even more complicated given that the mother was also member of a sectarian movement and did not hesitate to invoke any and all means (including manipulation and lies) to achieve her goals. What was the family environment of the children like ? They lived together with their father, their stepmother and their younger stepbrother, the child of their father and stepmother. Everything was going great for them, which perhaps was a source of annoyance to their mother, who could not stand to see them all so happy ? The mother presented her motion to the courts, together with supporting documentation and a judge was appointed to try the case. The father had to respond to various allegations put forth by his ex-wife, thereafter his « adversary ». 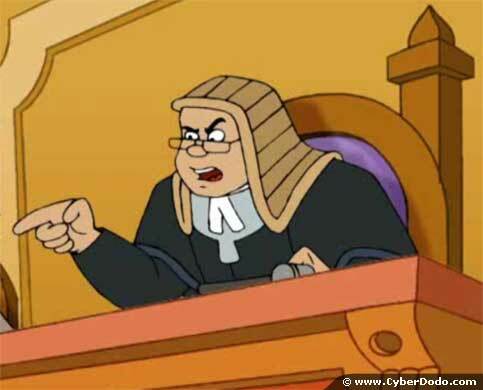 The judge appointed an expert to meet the children, and examine their situation. The father was so convinced of his rightful status and the wellbeing of his children that he leaves the choice of expert to his adversary who as it turns out is a member of the same sect as the mother ! The report issued by this expert was so shocking and fallacious- that the judge goes as far as to envisage the transfer of parental authority and custody of the children. Completely shocked, the father requests that the children themselves be heard by the judge so that she can discern the manipulation at play. Indeed, Article 12 of the Convention is very clear on the rights of all children to express their opinion in all matters that concern them. The family was once again confident, since the rights of children to participate in determining their future is clear. The judge gets caught up in clause stipulating « as soon as he or she is capable of doing so » and puts forth the reasoning that, according to accepted use in that country, the minimum age to be heard in the courts is 12. This was a response and attitude that was totally inacceptable ; as CyberDodo summarised the matter in the episode dedicated to this Article of the Convention « If they are old enough to suffer, they are old enough to express themselves ». The father doesn't give up and succeeds in a motion to appoint a second expert perfectly neutral this time. This expert finds the family situation of the children to be both relevant and harmonious and recommends that the mother's claims be dismissed. The judge finally agrees. What are the important points to remember as regards the right of all children to express himself or herself in the courts ? Starting a few years ago, an change has been manifest, and the voice of children is being heard more and more yet not enough, and not everywhere. However, a realization has occurred and is growing which is a good thing. Even so, and as long as a child can be manipulated, influenced, threatened, etc., it is important that his or her opinion, feelings, wishes, etc., are heard by a neutral and competent person. Moreover, appropriate assistance should be offered to a child before they formally express themselves, for example, a lawyer for legal proceedings, or an educator for administrative matters. As regards « as soon as he or she is capable of doing so » - which stands open to a great deal of interpretation and potential arbitrariness it should be clear that this concept is to be interpreted in the best interest of the child.